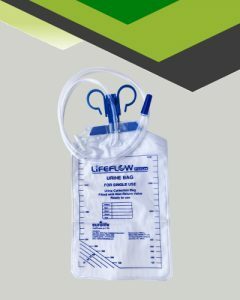 LifeFlow - Eurolife Healthcare Pvt Ltd. 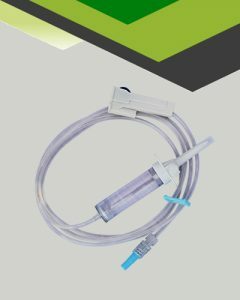 Helps in preventing infusion-related infections by never letting infusion line run dry. Avoid 'Air Infusion' when I.V. Fluid Bottle gets empty. Helps in maintaining constant flui level inside Infusion Set. Unique Technology 'Precision-Filter' acts as a barrier for particulate matter 15 microns & below. Offers 'No-Hassle', 'Risk-Free' & Smooth switch over to next I.V. Bottle. 'Auto-Fill' of Infusion Set with 'No-Dripping' of I.V. Fluid during intravenous administration. Protection against contamination by preventing fluid leakage on hands, floors & bedding. Offering ease in multiple solution preparations. Ensures quick solution preparation & maintains hygiene and sterility of product. Maintains a closed system before the commencement of I.V. Therapy to a patient. Fitted with an ergonomically designed Vented Spike provisioned with hydrophobic air vent filter. 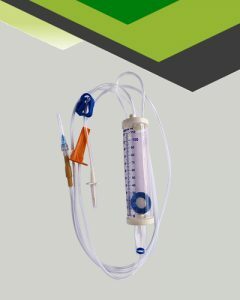 Big Size Drip Chamber offering better space for pumping and monitoring of I.V. fluid flow from a distance. Soft PVC Tubing with bigger wall thickness offering better strength and resistance to kinks & wear-tear during I.V. Therapy. Bigger Size Roller Clamp with the provision of the side hook which offers the provision of temporarily stopping the I.V. Therapy when the patient needs to get into an ambulatory condition. Fitted with a Latex Free, Y Injection Site offering provision of extra medication which is trauma-free. Fitted with Male Luer Lock offering universal fitment to female ports of all types like I.V. 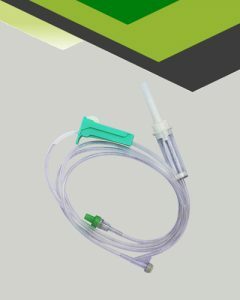 Cannula, Three-way stopcocks and connecting the ports. Peel Open type medical grade paper pouch packing. Fitted with Big Size Non Vented winged type Spike helping in better grip while piercing the device in I.V. Bottle and Big Size Drip Chamber offering greater space for fluid pumping and view from a distance of the I.V. Fluid Flow. Soft PVC Tubing with bigger wall thickness offering better strength and resistance to kinks & wear-tera during I.V. Therapy. Bigger Size Roller Clamp with the provision of the side hook for hanging the tube when the device is not in use. Latex Bulb facilitating pumping of the I.V. Fluid and fitted with a Male Luer Lock offering smooth fitment to the female ports of I.V. 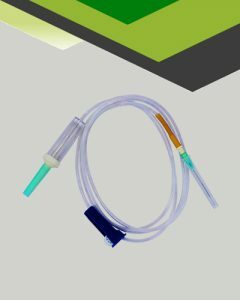 Cannula, a three-way stopcock or connecting tube ports. Packed in a Ribbon Pack with medical grade paper strip. Large calibrated specially designed PVC chamber of 110ml. 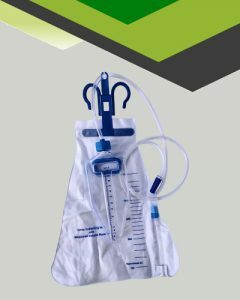 Soft and Straight drip chamber made out of medical grade PVC. Roller type flow controller provides accurate flow control. 10 drops per ml with 21g needle and filter having a 200 pm pore size. Fitted with Small Size Non-vented Spike (without wings) and Drip Chamber. Soft PVC Tubing with standard wall thickness. Latex Tube fitted Luer Slip. For short and long term urine Collection. Soft and kink resistant PVC tubing with frosted surface. Manufactured from flexible and ultra soft PVC film with non-return valve. 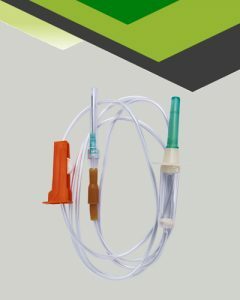 Made of medical grade PVC.